The 46th IFAN Members’ Assembly will take place on 17th October at the Clayton Hotel, Chiswick, London, kindly hosted by BSI. The Members’ calling notice will be circulated in early May. 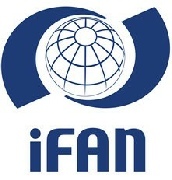 This edition contains reports on the IFAN Members’ Assembly and Workshop in Geneva and the ISO General Assembly which also took place in Geneva. Copies can be downloaded here. IFAN is pleased to announce that its popular Guide 4 Education and Training - Different needs for different roles has been revised. The new edition extends the roles covered in the guide and provides a useful guide to educators and employers alike as to the standardization knowledge needed to carry out specific roles in an organization. We are pleased to announce that Mr. Gao, CAS (China) was elected to serve a second term as a member of the Board. A Workshop was held in conjunction with the 45th Members’ Assembly in Geneva. The workshop focused on users participation and the presentations from the Workshop can be found here. The 45th IFAN Members’ Assembly will take place on the 25 September, kindly hosted by the IEC at their Geneva headquarters. The day will start with a welcome from Frans Vreeswijk of the IEC and then an Open session with speakers including Elena Santiargo of CEN/CENELEC; Geerten van de Kaa of the Delft University of Technology, in addition there will be speakers from the IEC and ISO, topics include Users contribution to standardization as well as cyber security. In the afternoon, the first part of the Members’ Assembly is also open to guests with the final part after tea being members only. In this issue is news of a meeting between the IFAN President and Frans Vreeswijk, Secretary general of the IEC, a report on the April Board meeting in Geneva, Part 2 of Keith Wilson’s article ‘Standards under the microscope’ and an article reprinted from the IEC E-zine with their permission ‘Women in a Man’s World’. All IFAN newsletters can be accessed by clicking on the ‘Newsletters tab to the left of the page, and 2-2018 can be found here. In this issue you can read an interview with Sergio Mujica the ISO Secretary-General as well as an article 'Standards use under the microscope', in the first of a series of articles, Keith Wilson looks at the investigation of standards and their use in the inquiries into the Grenfell Tower fire, London, 2017. The second edition of IFAN Guide 3 Guidelines to assist members of standards committees in preparing user-friendly European Standards. The guide was written by the IFAN European Group who meet 3-4 times a year to discuss matters related to the European Standardization system and the group has a close relationship with the CEN/CENELEC Management team. Copies of the guide can be downloaded from the Publications section of this website. Today we welcome the new IFAN President, Mr. Ross Wraight who starts three years of office, Mr Wraight is Chief Executive of the Standards Group Ltd. You can read more about our President as well as our two new Board members: Mrs. Claudia Bach of SES and Dr. Bernhard Angermaier of ANP, in our next newsletter. To be added to the mailing list please contact the IFAN Secretary at ifan@ifan.org. IFAN's October Newsletter is now out! Read about the IFAN/SES/ICES joint Conference in Chicago in August and the paper presented by IFAN Treasurer Keith Wilson on Anchoring Building Information Modelling in UK construction; also in this edition a report on the ISO GA in Berlin; a report of the IFAN Alumni reunion and Mr. Neil Reeve's Georges Garel Award acceptance message. The IFAN Board unanimously agreed to bestow the Georges Garel Award upon Mr Neil Reeve in recognition of his numerous outstanding and meritorious contributions to the field of standardization on behalf of the oil and gas sector in general, Shell Oil in particular, as well as his outstanding contributions to IFAN. Mr Reeve was President of IFAN 2003-2008 and represented Shell in IFAN. His acceptance statement will be printed in the next IFAN Newsletter. The Georges Garel Award was instituted by IFAN in 1979 in commemoration of its first president Mr. Georges Garel. The award is bestowed upon persons who in the opinion of the IFAN Board have rendered exceptional service to the international community of standards users. A report on the 44th Members' Assembly and the Joint Conference will be in the next IFAN Newsletter. Find out what are the greatest challenges that IEC faces today and in the future. For the full interview with IEC General Secretary Frans Vreeswijk and some more exciting news contact ifan@ifan.org and receive our latest newsletter. The International Federation of Standards Users is an independent, non profit-making international association of national organizations for the application of standards, companies, professional and trade associations, and governmental agencies, concerned with the use of standards.